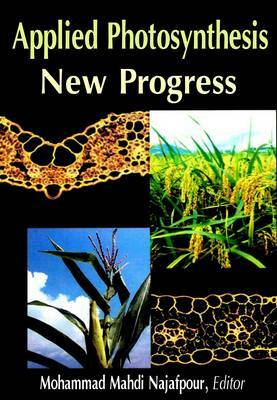 The aim of this book is to provide new progresses on applied aspects of photosynthesis, and different research groups collected their voluble results from study of this interesting process. Using the energy from sunlight, photosynthesis usually converts carbon dioxide into organic compounds, which are important for all living creatures. Photosynthesis is one of the most important reactions on Earth, and it is a scientific field that is intrinsically interdisciplinary, and many research groups have considered photosynthesis. All sections have been written by experts in their fields, and book chapters present different and new subjects on photosynthesis.